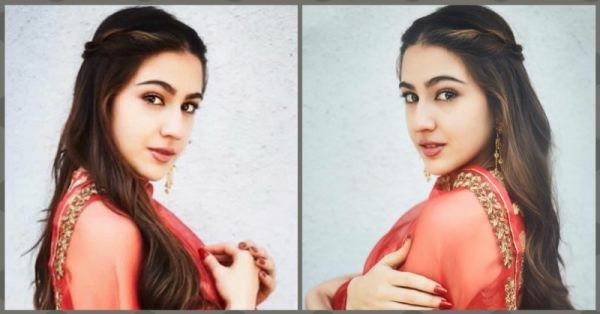 Love Is In The Air: We *Heart* Sara Ali Khan's Romantic Twisted Updo! 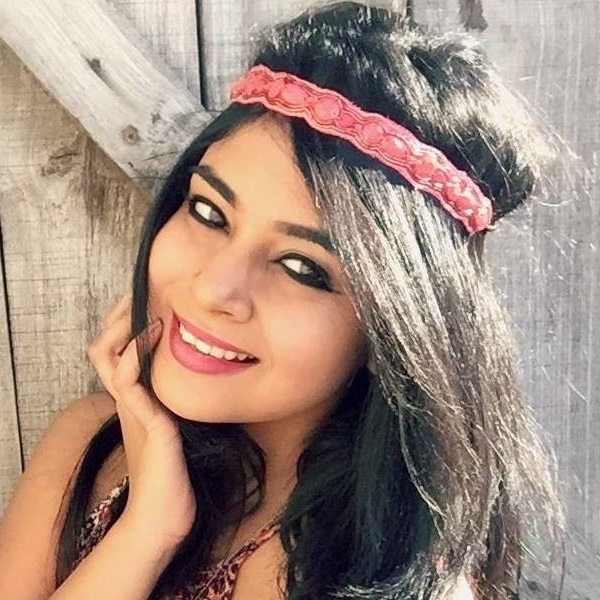 Uff those eyes! Uff those lips! Uff that hairstyle - I think I'm in love with Sara Ali Khan. 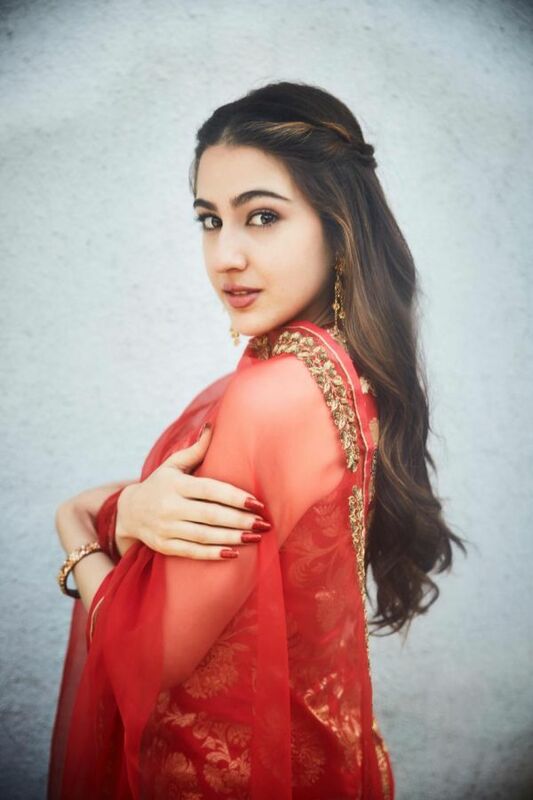 For the promotions of her debut film, Kedarnath, she wore this gorgeous Raw Mango red ethnic outfit and was spotted sporting a romantic twisted updo. Her makeup was kept subtle and her brows looked sculpted and groomed to perfection. Not to mention those flashy, bright red nails - WOOT! This girl is on fire. See for yourself! Doesn't her half twisted updo look fantastic? You'll be thrilled to know that even you can create the same hairstyle at home if you follow these 5 easy steps. Step 1: Create a middle parting. Step 2: Gather a small section of hair from one side and gently begin to twist and later braid till you make your way to the crown area. Step 3: Secure the first section with bobby pins. Step 4: Create the same for the other section. Step 5: Join and secure both braids using bobby pins.